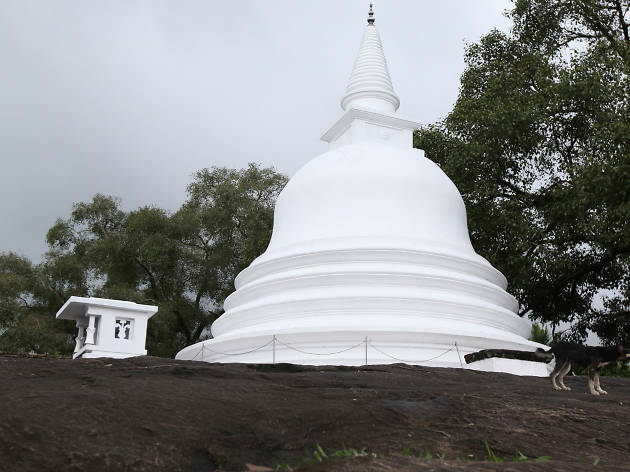 Built of brick, the Lankathilaka is part of the famous architectural trinity of Pilimathalawa. 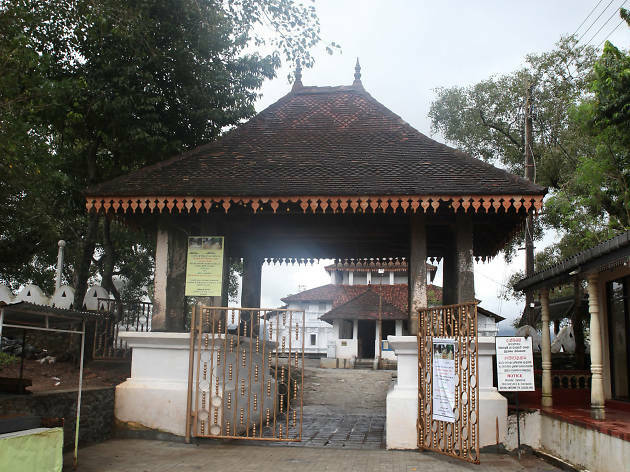 A short distance from the Gadaladeniya temple, Lankathilaka is yet another temple, grand in exterior and prominence, and built with brick, located atop a hill named Panhalgala. 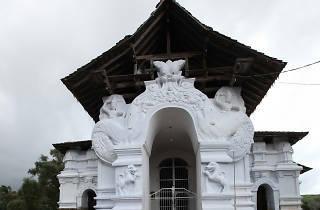 Famed for its intricate architecture that belongs to the Gampola era, a stone inscription on the site tells that the temple has been built by Senalankadhikara, a minister in the court of King Buwanekabahu IV. 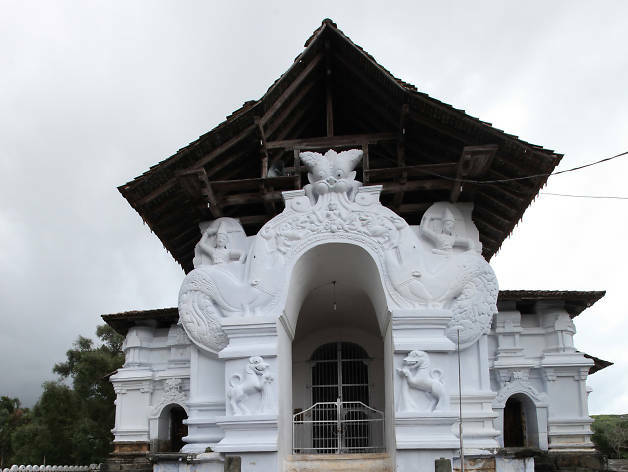 The architecture, which depicts southern Indian influences is by a South Indian architect. 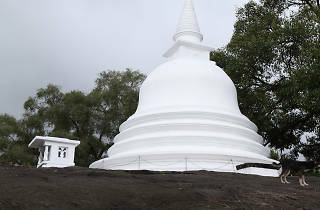 One of the most significant features of the temple is that the image house enshrines a Buddhist shrine room with the statue of Buddha and four Hindu shrines dedicated to four deities. 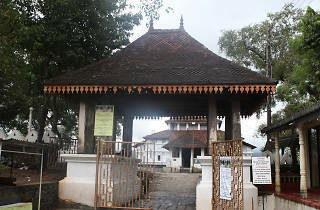 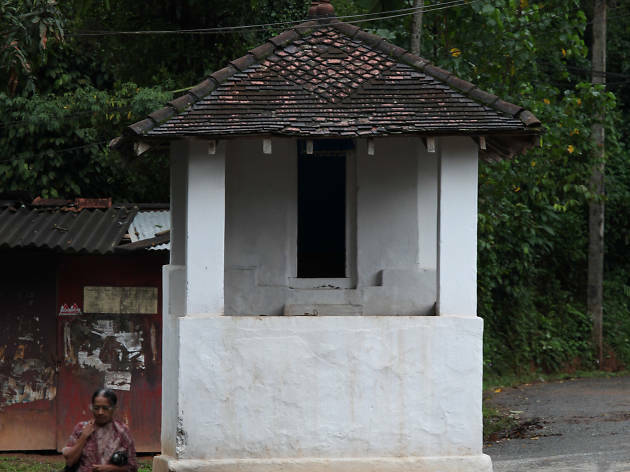 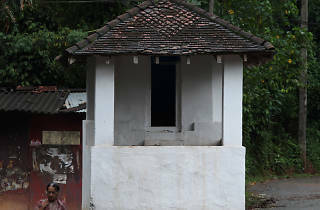 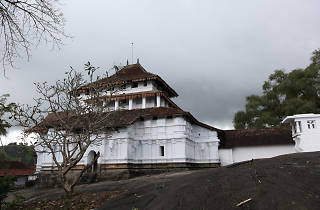 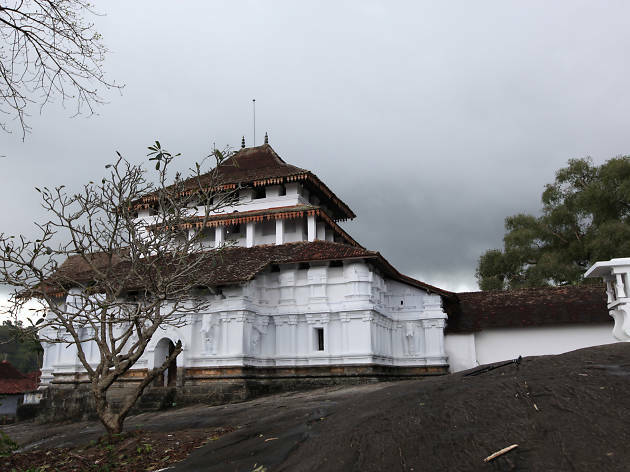 Outside the premise of the temple is a raised platform, with a roof, known as the Sinhasanaya where it is said that the King used to watch the Perahera.